The short doc America's Shrinking Farms sheds light on innovators who are working to solve the world's food supply problems. 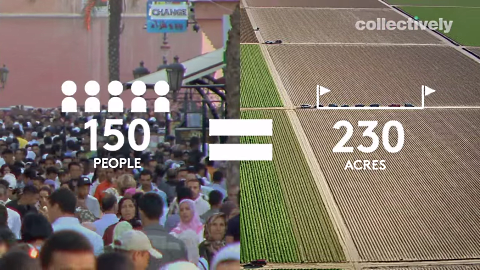 How will we continue to feed the world’s growing population? Where is our food going to come from in 2050? These are both valid questions with many different answers. Collectively.org’s eye-opening new short documentary America’s Shrinking Farms aims to raise awareness of the issues, and possible solutions, in play right now. The problem isn’t that we farm, it’s how we farm. Current methods simply aren’t sustainable for the world’s growing population, and if we keep going the way we’ve been going, we’re on a path toward complete environmental destruction. We need to change the way we farm and the way we eat if we want our planet to thrive. Consider this statistic: right now, a typical American farm can feed about 150 people using 230 acres of land, That’s about 200 football fields to feed a relatively small number of people. With figures like that, vertical farms expert Dickson Despommier’s statistic about needing a plot of land the size of South America to feed humanity seems, well, surprisingly small. For the film, Collectively.org traveled throughout the U.S. to talk to various innovators who are dedicated to solving our modern food problems in new ways. What they found gives us hope for the future, and for finding new ways to produce plenty of food by more sustainable means. From cricket farmers to vertical farmers, these innovators are working to solve the world’s food supply problems. 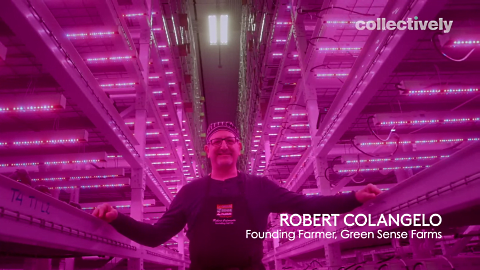 Vertical farmer Robert Colangelo founded Green Sense Farms in Indiana, which is one of the country’s first vertical farming efforts. Inside the grow room, Colangelo and his staff can control every single aspect that goes into growing the plants. Light, water, air quality, nutrients—you name it, and Green Sense has it under control. For that reason, Colangelo says that it’s a much cleaner, more efficient way to grow plants even than any organic (but traditional) farm you can name. Not only that, but since vertical farming isn’t dependent on weather patterns or seasons, Green Sense harvests something every single week. Compare that to the two or three crop cycles that traditional farms cycle through. 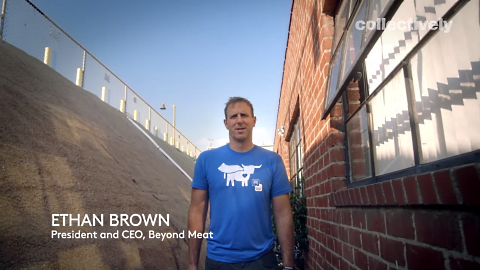 He says that since they’re essentially building this new meat from the ground up, the way to compete is by making it better than animal-based proteins. By stripping out cholesterol and upping protein, iron, calcium, and omega-3 and -6 content, they’re creating the meat of the future. 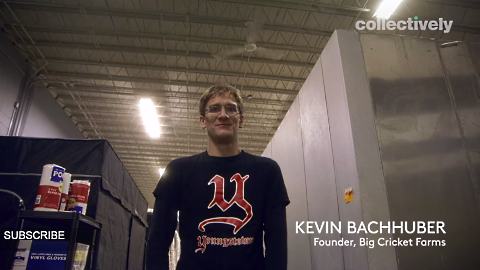 Big Cricket Farms isn’t your typical livestock farming operation, but founder Kevin Bachhuber doesn’t intend for it to be. Besides taking up much less space than your typical livestock operation, the smell is much better. But Collectively.org’s Charlet Duboc asked the question on everyone’s minds: what do crickets taste like? 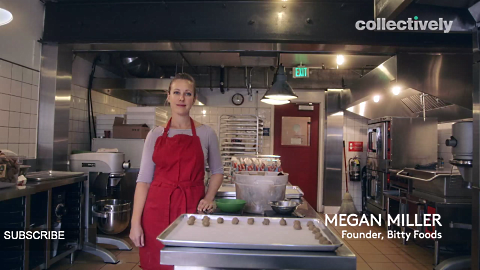 If the idea of all those cricket eyes and legs bothers you, that’s one reason Megan Miller founded San Francisco’s Bitty Foods. By grinding high-protein crickets into a nutty, nutrient-rich flour, Miller’s company can make delicious baked goods that are packed with nutrition. Duboc—who had visibly been disturbed by eating whole crickets with Kevin Bachhuber at Big Cricket Farms—tasted a Bitty cookie and said, “It just tastes like a delicious, slightly spicy cookie.” Maybe that’s the key. Cricket powder making its way into protein-packed fast-food milkshakes probably can’t hurt, either.